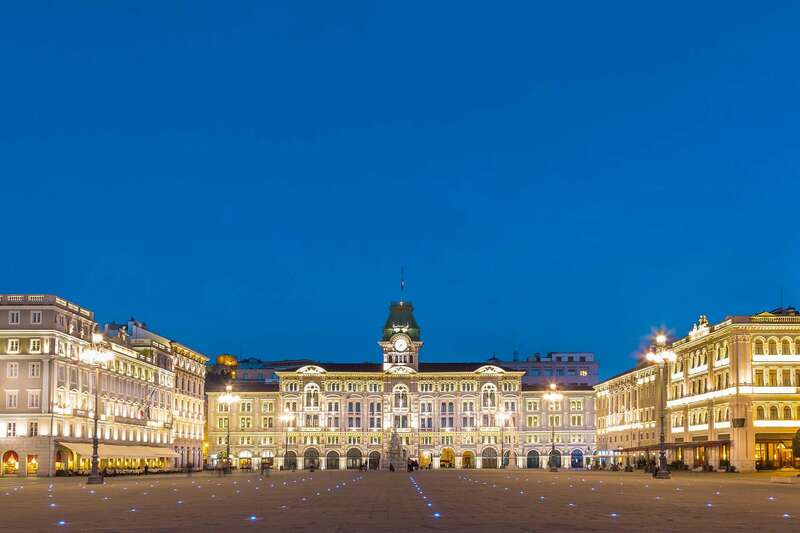 Friuli – or Venezia Giulia – is the region that shares borders with Slovenia and Austria. In the north it is confined by the Alps, to the south lies the Adriatic Sea. Especially impressive is the karst plateau, made up of barren rock. 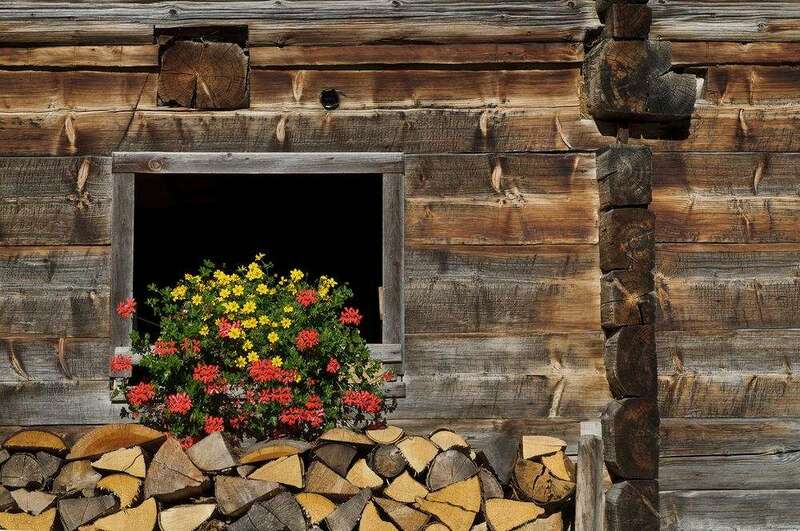 Spectacular is the view of the eastern Dolomites and the Carnic and Julian Alps. Among the lakes and valleys nature reserves have been established. The coast is made up of lagoons and long sandy beaches with some renowned resorts like Lignano Sabbiadoro. From Monfalcone to Trieste on the other hand the coast is rocky. The great diversity of the landscape matches its extensive cultural heritage, which was created by different nations. Today the different traditions coexist peacefully. 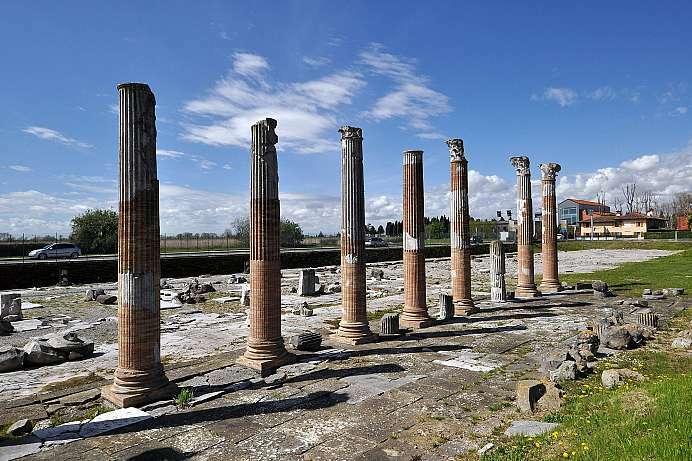 The sleepy village of about 3,000 inhabitants was one of the largest cities in Italy during the Roman Empire. Impressive remains of the ancient town's outdoor areas as well as two museums bear testimony to its former glory. The medieval cathedral is home to Italy's most significant, early Christian floor mosaic, dating back to the beginning of the 4th century. In the year 452 the town was destroyed by the Huns. With the rise of Venice, Aquileia finally lost its predominance. 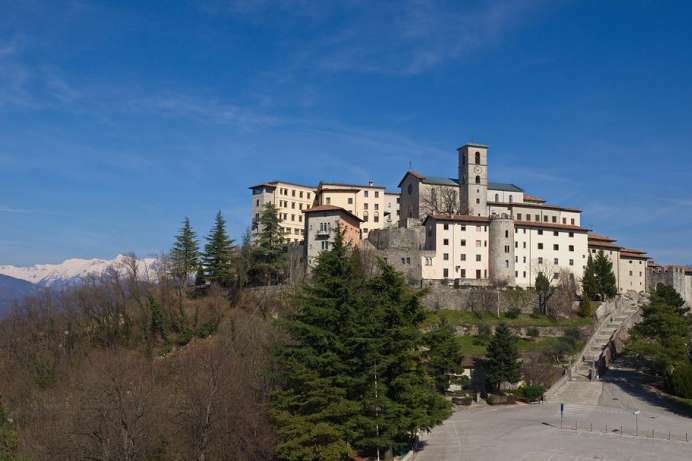 The famous Marian shrine is on a hilltop in Cividale. Even the ride on the narrow road through a dense forest is an adventure. From the parking lot one climbs up steps to the gate and then one follows the main street to the church. Massive military houses crowd around the church on the hilltop. Here pilgrims worship an allegedly miraculous statue of the Virgin Mary from the 14th century, which today stands at the main altar. Under the church there is a large crypt, the oldest part of the sanctuary. In the pilgrim's hostel “Casa del Pellegrino” one can find a little something to eat or drink. This citiy, known in Roman days as the Forum lulii, did not experience its heyday until after the decline of the Western Roman Empire. The Lombards, a Germanic tribe originally from the region of the Elbe, came over the Alps during the migration of the peoples. Soon thereafter, the entire eastern Po river valley was under their control, which explains the name of the province Lombardei. 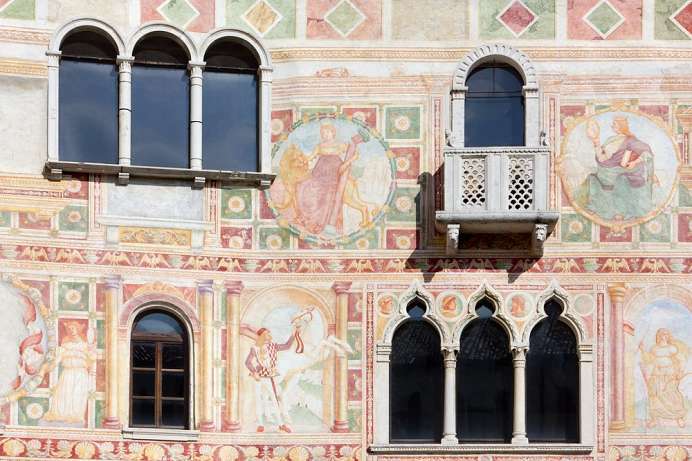 Cividale del Fruili was the capital of the Lombards from 569 until 774 AD. The city's key landmark, the Devil's Bridge, spans the Natisone river. The small 8th century church of Santa Maria in Valle stands on the river in the old Lombard district and was possibly a Lombard palace chapel, which is why it is called the Tempietto Longobardo. 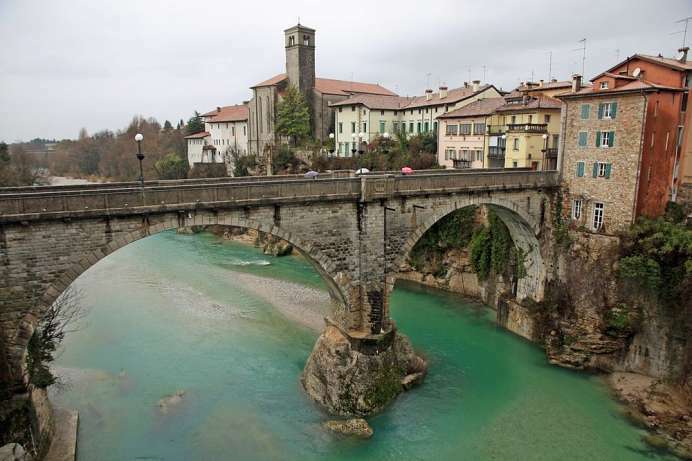 Since the late Middle Ages the city on the Isonzo had been owned by the Counts of Gorizia, and later of the Habsburgs. Since ancient times the city was trilingual. In 1900 Gorizia had 25 432 inhabitants, of which 16,112 were Italians, 4,654 Slovenians and 2,760 German. 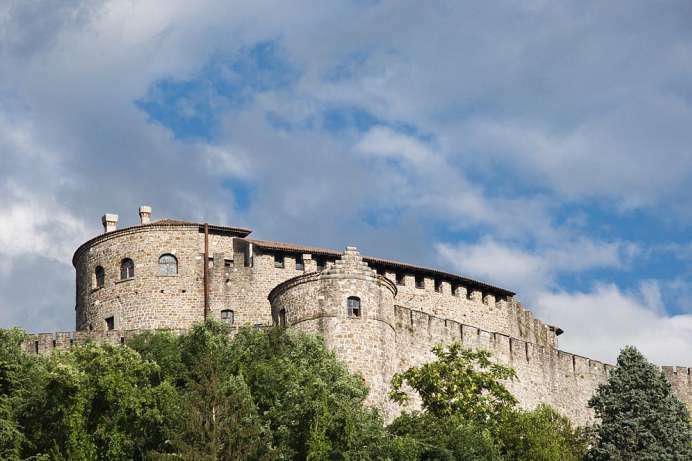 After the First World War it became part of Italy and was now called Gorizia. From this period dates the impressive Ossuary of the fallen Italian soldiers. After the Second World War Yugoslavian partisans occupied the station and claimed the city. It was divided in 1947. The East went to Yugoslavia and from now on was called Gorica, while the West remained part of Italy. Only in 2004, when Slovenia joined the EU, one could again move without a passport from one neighborhood to another. A main attraction is the walled castle hill. 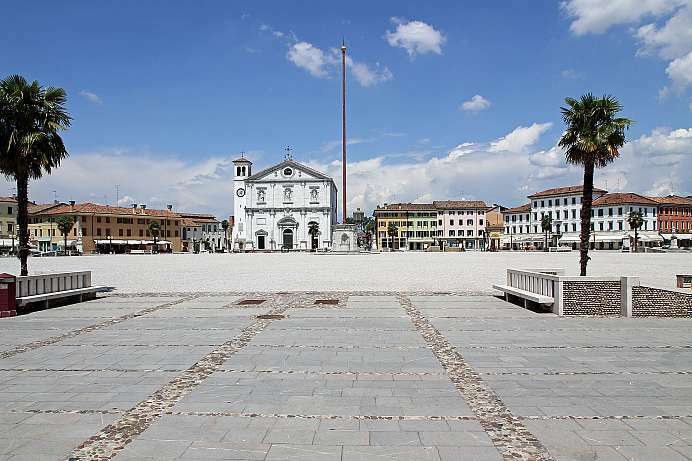 The city south of Udine was built in the late 16th century as a planned city. Its star-shaped form has been preserved until today. The streets are wide and orderly, so that the soldiers could move quickly from the parade ground to the city wall. The three major city gates, the Porta Aquileia, Porta Udine and Porta Cividale, are preserved till today, too. On the delta of the Isonzo in the eastern part of the Friuli Venezia Giulia region a 2,400-hectare nature reserve for the protection of migratory birds has been established. Those wishing to explore the reserve should best start at the Isola della Cona, a 50-hectare re-naturalized freshwater swamp. A nature trail leads from the visitor’s center to the estuary of the Isonzo. 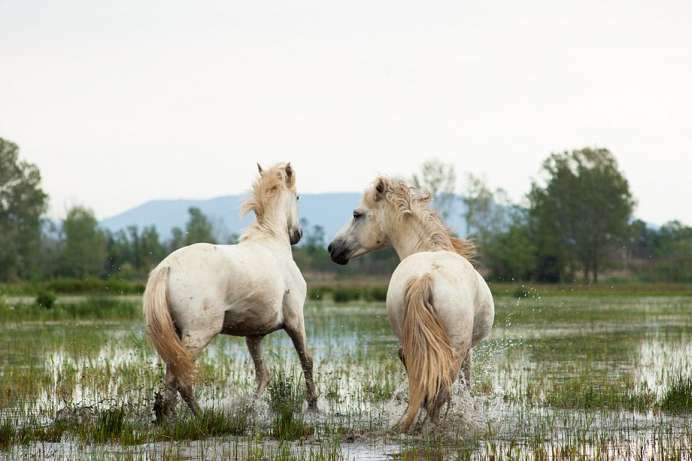 Some Camargue horses that were released in the reserve and are now wild also live here. This scenic plateau west of Tagliamento has had fortifications since prehistoric times in order to protect the trade routes leading over the Alps to Germany. A town wall had to be built as Spilimbergo grew into an important trading center. An industry based on the manufacture of mosaic floors developed in the 17th century. Floor makers from Spilimbergo earned their pay on the building sites of Venice. Today, this tradition is being perpetuated by a local school for art and craftsmanship.